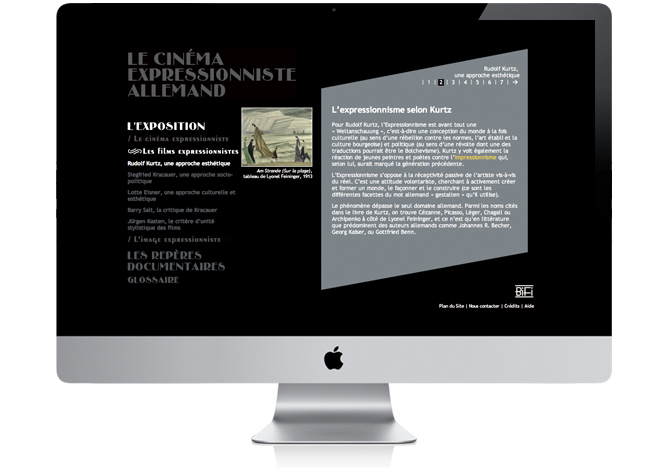 The "Cinema Expressionniste Allemand" (German Expressionist Cinema) website completes the exhibition held at the Cinémathèque française. 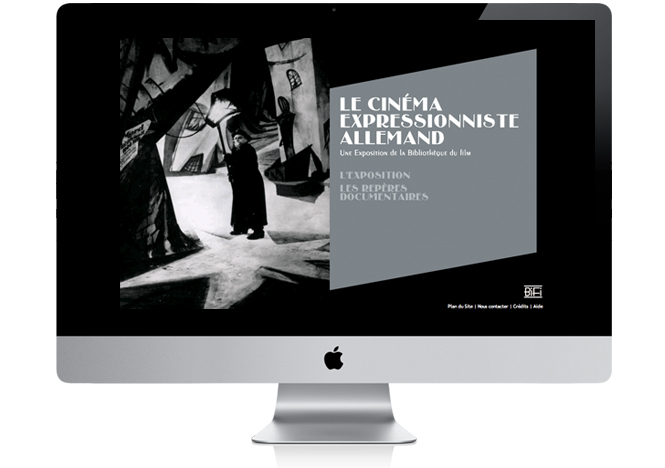 It offers an historical synthesis on the notion of german expressionist cinema. 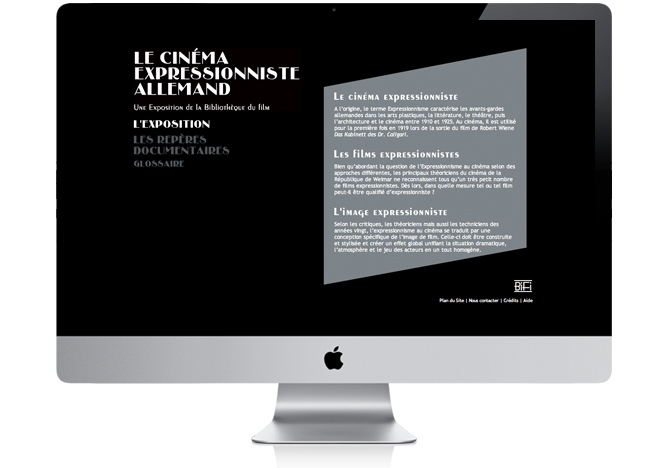 It also sheds a new light on one of the strongest period of cinema history and aesthetic by bringing lots of additional documents.